The CBFM features over 60 vendors and provides the community with fresh locally grown produce, eggs, honey, meat, baked goods, roasted coffee, flowers, body care products, handmade craft items, ready-to-eat food and much more. The weekly popular event strives to bring high quality, Oregon-produced items in the historic downtown atmosphere neighboring Highway 101. Those interested in becoming a vendor please visit the Coos Bay Downtown Association’s website at www.coosbaydowntown.org/farmers-market/ to find application information. To reach the CBFM management, email at coosbayfarmersmarket@gmail.com or call (541) 266-9711. 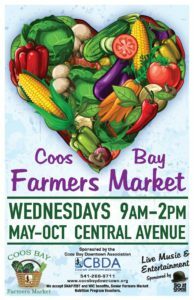 Further updates on the 2018 season can be found at facebook.com/coosbayfarmersmarket or on Instagram @coosbayfarmersmarket. 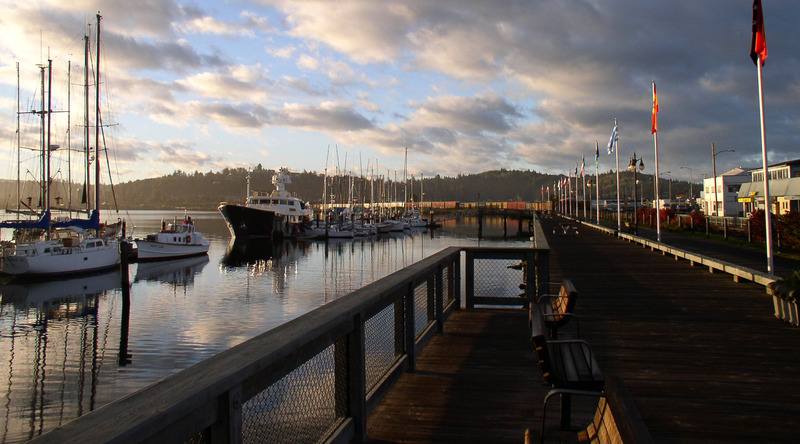 The Coos Bay Farmers Market is presented by the Coos Bay Downtown Association where we encourage visitors to shop, eat, mingle and explore all that the area has to offer.